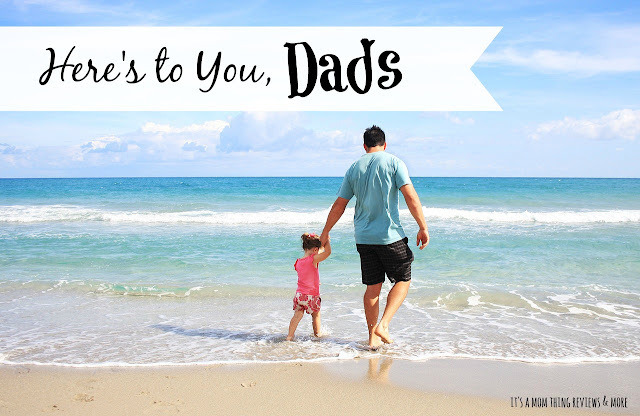 With Father's Day only a few days away I want to devote some time to the amazing and wonderful men in our lives and our children's lives. Far too often people take time talking about dads who aren't involved or around so I want to shift the focus. There are often things said that imply that dads aren't as important as moms, or that dads can't or don't do as much as moms do. It is time to end that talk and talk about the always present and always loving dads. This Father's Day take time to honor the men who are there when their children are born, who can't wait to hold their bundle of joy, who help with feedings and diaper changes. The men who are there through miscarriages, through IVF, through adoption, through anything. The men who teach children things like how to ride a bike, the ins and outs of video games, how to throw a ball, how to read, and so much more. The men who are sometimes a little too easy going with rules and the ones who are a little too strict. The men who work hard so that someone is able to stay home with their child. The men who are the stay at home parent. The men who fight for more visitation because they hate being without their child. The men who enter a woman's life after she already has children and love them like their own. The men who take on the role of "dad" for children who are lacking one. Take time to honor the men who are there. The men who cherish, protect, and take care of children. The men who love their children every minute of every day. What a beautiful post. So often we focus on the negative and forget about all the positive men that are out there. Love this!